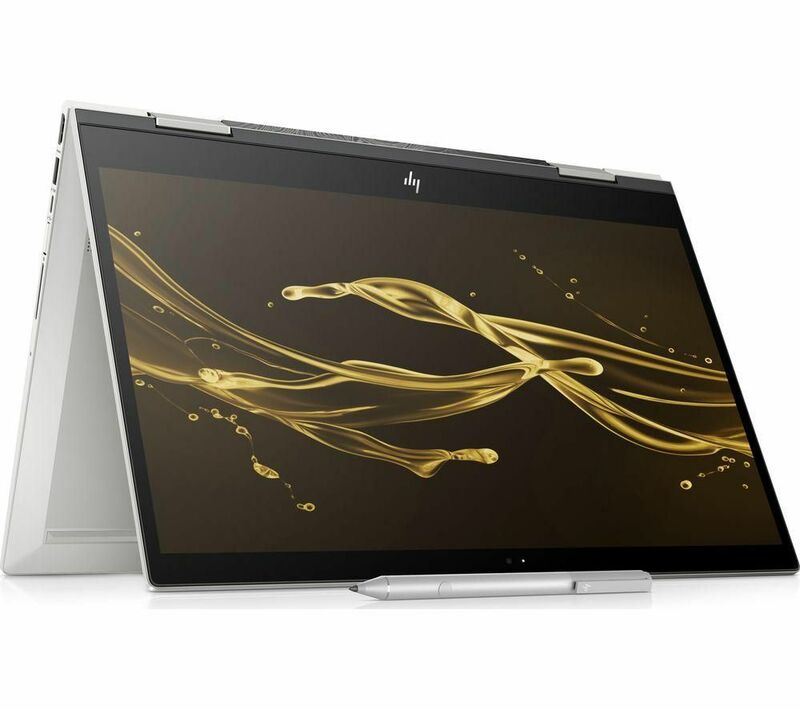 Top features: 360° hinge lets you switch between tablet and laptop modes Tackle big projects with AMD Ryzen 7 & Radeon Vega graphics A huge battery life that will last your whole work day Windows Hello lets you log in with just a look The HP ENVY x360 15 cp0599sa 15.6" AMD Ryzen 7 2 in 1 is part of our Premium range, which has the latest tech with high end designs. 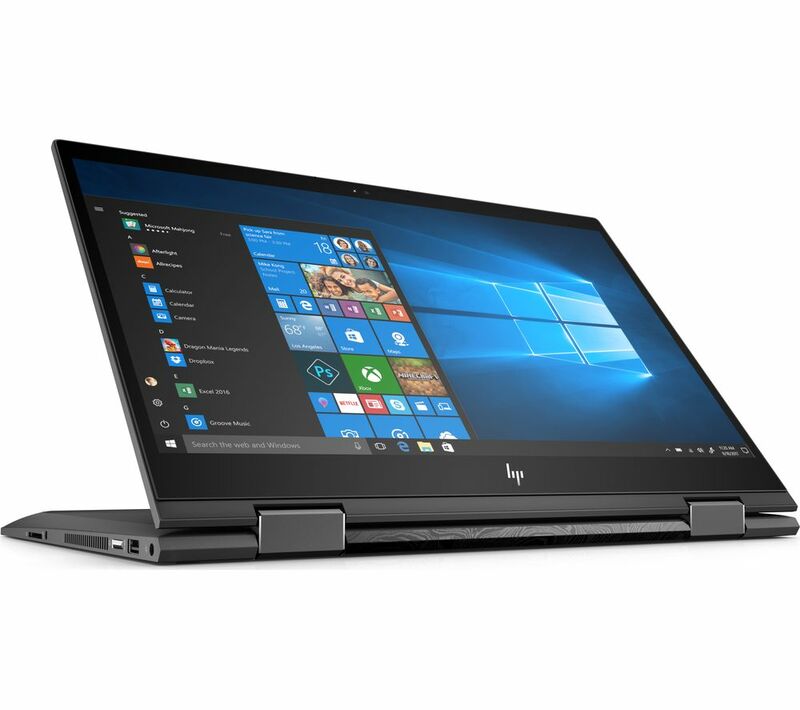 It's great for editing complex documents, business use, editing photos, and anything else you do throughout the day.360° hingeWith a 360° hinge, the ENVY x360 lets you work at your desk in laptop mode for when you need a proper keyboard. For times where you just want to watch a movie on the train, you can fold the keyboard over for tablet mode. Weighing only 2.14 kg, this slim device can easily fit into your handbag or backpack take it with you on the go and it won't weigh you down, even if you're carrying it all day.Tackle big projectsFeaturing an AMD Ryzen 7 processor, the ENVY x360 will help you get the job done. Whether you need to run demanding applications, manage your emails or just simply browse the web, the ENVY x360 can handle it all.AMD Vega 10 graphics opens a new immersive world. 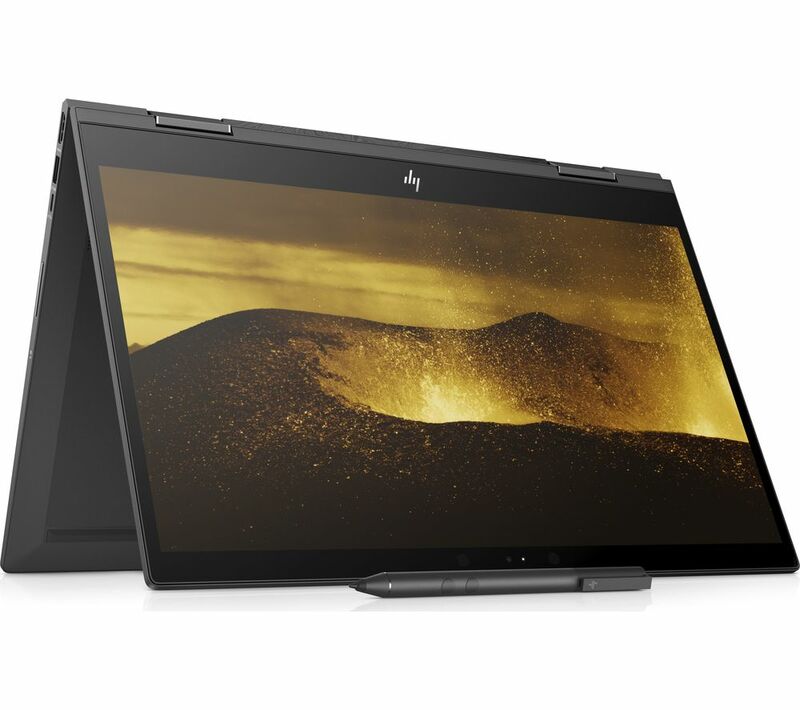 You'll be able to enjoy your favourite films, boxsets and other content in stunning Full HD, as well as run video and photo editing software without even breaking a sweat.A huge battery lifeWhat's the point of a laptop if you have to spend your whole day tethered to a plug socket? The ENVY x360 has a huge ten and a half hours of battery life that's enough to last your whole work day and then some. You won't have to stress if you can't get a seat in the cafe next to a power supply.Windows HelloTired of remembering passwords? Windows Hello's face recognition technology gets you logged in as soon as you sit at the computer the camera will automatically recognise when it's you. You can even make purchases on compatible apps so you can buy things without digging out your passwords each time.Microsoft Office & internet securityThis PC doesn't come with a full version of Microsoft Office or Internet Security. But don't worry, you'll find great savings on software with the bundles available on the 'Top Deals' tab on this page.